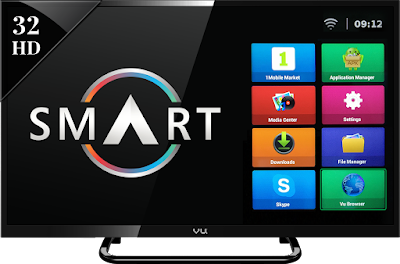 Recently I attended VU TV's launch event, where VU technologies launched a couple of new smart TV's. These TV's were originally showcased at CES 2016, where VU managed to attract a lot of attention from media and potential consumers. So if you're a loyal Flipkart customer, you already know that there's a section of VU TV which features smart TV's, this is because VU sells their TVs exclusively via flipkart. Just so you know, VU actually has been selling Android enabled TV's even before Google's actual Android TV OS ecosystem debut. Bottomline is that VU's out for a while now and they're known for providing up to date specifications at pocket-friendly size. Just last week, VU announced their next iteration of UHD(4K) range of Television Sets packing latest innovations fitting under the affordable segment in Indian market with interesting additions. So here's everything you need to know about it. Before moving ahead, Who's VU? VU is a California/Mumbai based Television company that functions under Devita Saraf, CEO & Brand Ambassador of Vu Technologies. They are generally known for producing Smart TV sets. Apart from that VU doesn't focus on having any brand ambassador(celebrity) on board, they believe that it's the customer that creates the review about their products rather than unnecessary advertising. So basically, that's how they function. So just last week, VU technologies unveiled a total of 7 new smart TV models ranging from Rs.20,000 to Rs.37,000 & above depending upon the models(Iconium, Play & Smart series). They claim that they've taken a leap forward across brands like Sony, LG & Samsung launching 4K Television sets at relatively competitive price points, making it fit in every other ordinary man's room. Smart Based TV's are built on top of Android Custom OS, whereas new Iconium series get a separate button for Youtube & Netflix on remote as a stand-out feature. These models will be available in 65, 55, 50, 43, 40 inches starring UHD (4K) which would upscale your average 1080p HD content into 4K content with the VU's built-in 4K engine, we'll talk about this in-depth below. Quick Note: You need to buy Netflix subscription separately. As for Youtube, it's free(Ads) as always. So these TV's could be called VU's base line of models offering decent content at affordable segment. This section in specific focuses on 1080p HD Display, PC connectivity (USB/HDMI Tethering), provides decent wide viewing angles & Headphone connection via remote. Whereas it runs on a custom User interface, not on Android OS. It doesn't offer much functionality in terms of productivity though it can get your job done. This could be easily called as affordability at it's best. Spoiler: There's no built-in WiFi modem, so if you need to browse on internet PC connectivity is your only option. 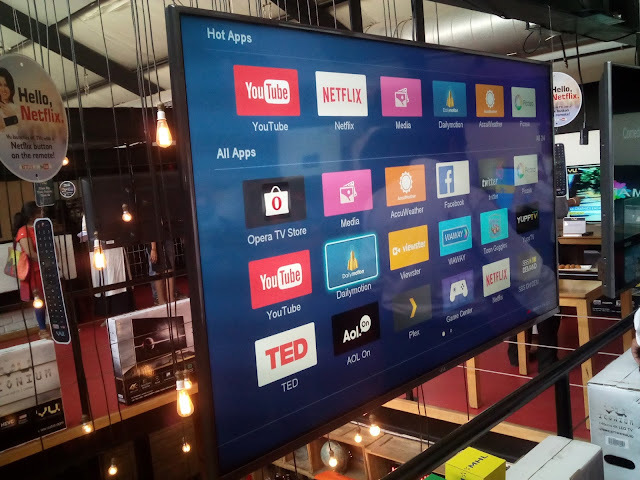 So from bullet points mentioned above, we can note that these TV sets are based on custom Android OS which isn't actually what you see with Google's latest release. The Android Custom OS found on VU's Television Sets run on top of Android 4.4.4, which isn't the most recent version but the APIs supporting those are fairly recent. But you can easily install supported Android apps on this platform without any hassle, though you need a third party App Store(1 Mobile market, Opera Store). As Play store isn't available here, you cannot install Google apps leaving YouTube. Here Internal Storage is 4GB, which is reserved for the system. Whereas this internal storage isn't available for installing apps, everything runs on a cloud-based ecosystem. Hence there's no restriction of installing limited apps, you can install N number of supported apps. But when i actually tried launching & closing apps, there was a slight amount of delay in response, I guess reason might be the weak Wi-Fi connection at the event. 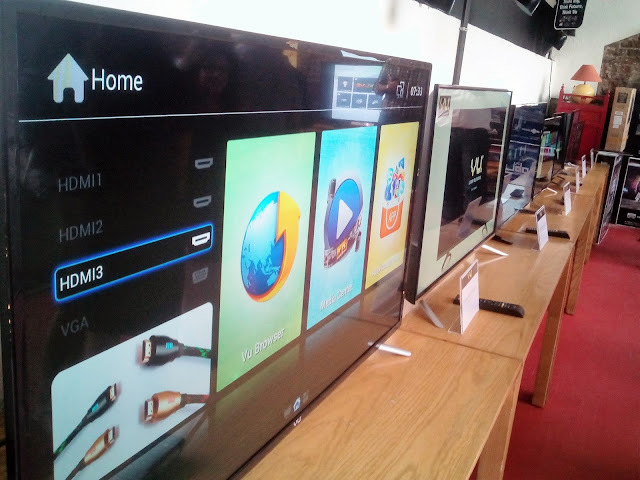 Whereas TV's under Smart Series section have Full HD displays. Spoiler: Since everything runs on cloud-based system, you need a fast & reliable wireless data connection(Wi-Fi). But speaking with a VU agent confirmed me that frame rates would be consistent & lag free due to their own customizations under the hood. This edition can be called as the flagship series of VU's launches providing top notch industry standard features. Iconium series offers 4K(3840x2160) Ultra HD displays, Dbx sound system(This isn't Dolby surround sound, but it did sound well on my test) & Smart Series features(Everything mentioned above). Whereas it also provides Screen Sharing feature, that lets you cast your phone's display onto your TV or for lack of a better word: Miracast/Chromecast. 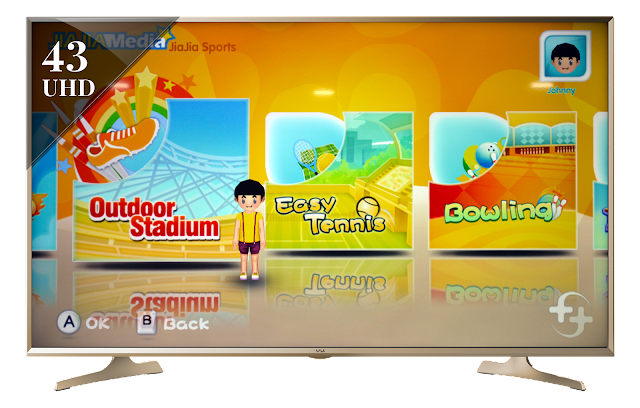 Smart Gaming TV is also their first debut which provides gesture-based gaming from jumping, waving, etc. depending upon the game. Everything performs in a sync once you download and install the Smart Control app. Due to the emergence of YouTube as a potential platform to create & engage, it's famous in teenage kids & younger people. Infact most people prefer Youtube over conventional TV channels as their daily dose of entertainment, depending upon their taste. Netflix is also a popular subscription-based video service which recently debuted in India, that lets you view movies & few TV channels depending upon your package selection(the First-month subscription is entirely free, credit info required). 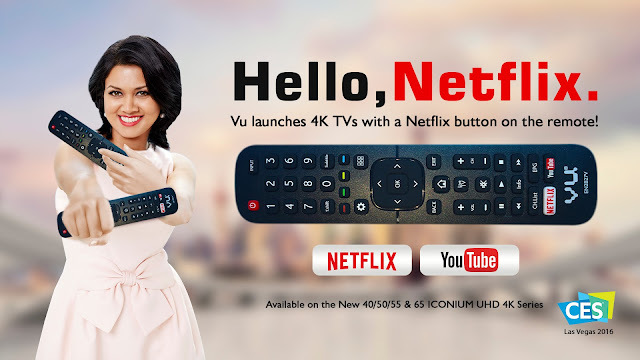 Since these services are catching up faster in India, VU has offered a separate button for Youtube & Netflix on their remote for Iconium series in specific. Also the built-in 4K engine upscales the video format into crisp 4K footage, though if you're a pixel junkie you can spot the difference over side by side comparison(Footage: Upscaled 4K vs 1080p), that has nothing to worry about as 4K content is just emerging. Spoiler : When you cast your entire screen, you cannot connect to your WiFi internet connection, as you're currently connected to VU TV's built in Cast Wifi. Resulting in no internet connection, unless you've 3G/4G when casting. 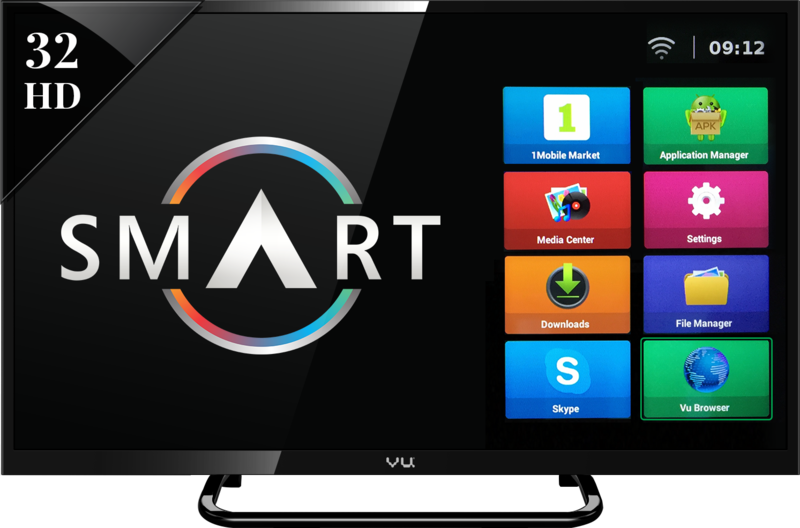 Though there are few apps which have inbuilt Cast now option, from which you can cast directly to your VU TV without screen mirroring, you simply need to be connected(TV & Smartphone) on the same WiFi network. The launch event was conducted in the presence of Ms. Devita Saraf, VU TV's CEO, which was later joined by Mr. Amit Bansal, Flipkart's Business Head. Vu company considers themselves as an entertainment brand with integrations from Netflix, Youtube, Gesture gaming. VU Technologies claims that they've witnessed CAGR of 170% with 200000 TVs sold to date, while they plan to double that number in this forthcoming year. They're even planning to provide features such as Whatsapp based service, Smart TV hotline, etc. in future. That being said I'll be planning to upload my video review on VU TV's soon, so make sure you subscribe to my YouTube channel: Blog Vlogs. Let me know in the comments below what do you think about VU as a Television Brand in India? Image Credits : Mentioned above.